Season 3 will debut on Netlix on September 28th next month! This season will also introduce the show's intepretation of Captain Flynn, who is voiced by none other than Patrick Warburton, and Crash Bandicoot will return. Eric Rogers, the original show runner for Academy, will step down and he’ll be replaced by the showrunning duo of Clayton Sakoda and Ian Weinreich starting with Season 3. Please be a bit a "Serious" Season. Probably will be, Kairi, given how Season 2 ended and how Season 3 is set-up. It really depends on how long Spyro stays Dark Spyro, though. I personally hope it's not for too long. There will be only so much they can do with him before they have to change him back... or remove him. But that seems a little extreme! To be honest, I'm kind of uneasy. Hearing that their is a 'change of management' - so to speak - is not good news. Usually when new people come in, they try a very different approach. Also, I'm kind of shocked that Crash will be returning... and confused. I mean, why? What's the point? Hopefully Flynn is a WHOLE lot better than he is in the games... probably will be worse. 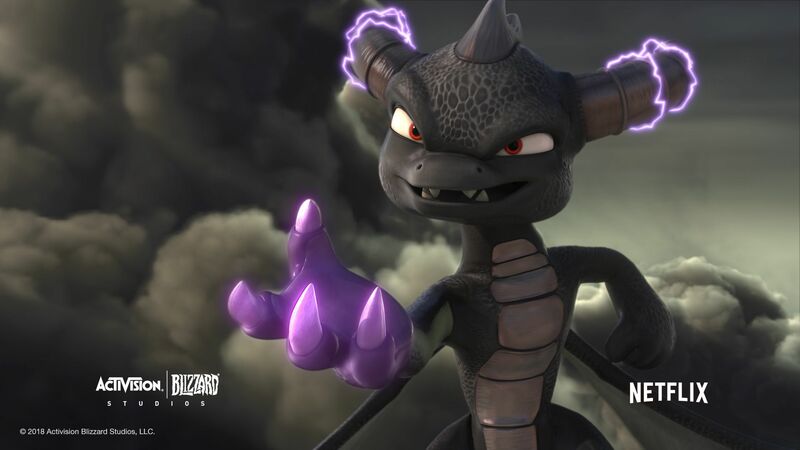 That doesn't look like Dark Spyro to me... that looks more like Kaos. Am I the only that sees that? They're getting Rhys Darby to voice Crash Bandicoot? The guy is from New Zealand!!! I know Australian's tend to "adopt" New Zealander's as our own, but I'm not sure having him do the voice of Crash Bandicoot is gonna be good. All of a sudden, I am VERY skeptical.